It has been noted that a sub-category of film gris (or 'gray film') exists, according to writer Jon Tuska, meaning film noirs that have happy denouements. 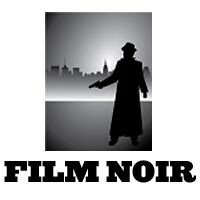 So-called post-noirs (modern tech-noirs, neo-noirs, or cyberpunk) appeared after the classic period with an attempt to revive the themes of classic noir, although they portrayed contemporary times and were often filmed in color. Tech-noir (also known as 'cyberpunk') refers specifically to a hybrid of high-tech science-fiction and film noirs portraying a decayed, grungy, unpromising, dark and dystopic future - similar to what was found in the low-life, underworld environments of hard-boiled 'pulp fiction' made popular by Raymond Chandler and Dashiell Hammett. Peter Hyam's little-seen and forgotten Peeper (1975) (aka Fat Chance), a semi-serious spoof of the 40s detective films, starred Michael Caine as Leslie C. Tucker - a trench-coated detective in LA commissioned to find a wealthy man's long-lost missing daughter (either Natalie Wood or Kitty Winn); the tagline stated: "Back in '47, a gun was a roscoe, a private-eye was a Peeper, and murder was okay as long as nobody got hurt. In fact, anything was okay with this Peeper on the case because he wouldn't know who-done-it even if he done it himself"